Callum Watson (1997- ) is quickly becoming recognised as one of Victoria’s most active up and coming musicians. His recent musical actives include having composed music for over five theatrical productions in his position as Musical Director for Western Edge in Melbourne. His concert composition “Clash of the Cultures” featuring various ethnic instrumentation from Didgeridoo to Sitar to Bagpipes has reached critical acclaim. For this work, Callum was awarded the Margaret Schofield Scholarship for composition. This distinguished award is given to one composer in Victoria each year as part of VCE. 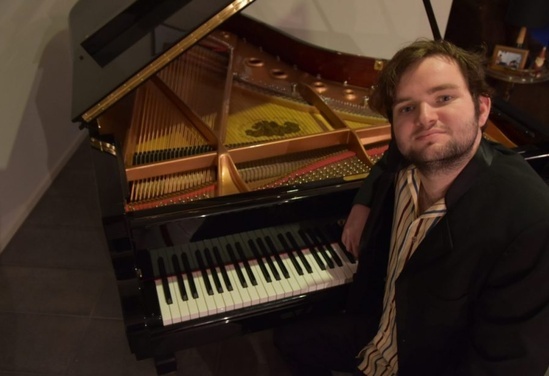 As a pianist, Callum excels in both the Classical and Jazz fields having studied at the New York Jazz Symposium with teachers from the Juilliard Music School. Callum is also an in demand keyboard player playing in as many as six bands at a time. Callum is passionate about creating performance opportunities for fellow musicians. It gives him a thrill to promote and support Victoria’s creative talent. He has years of event management and administration experience which he uses to facilitate new musical projects and collaborations bringing them to audiences across Victoria.